I had no idea how much I would LOVE 17 Again when I saw it with the girlies this weekend, but it was awesome. Zac, you are so pretty. 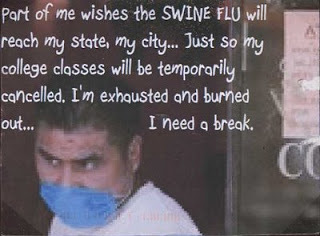 Also, PostSecret of the week. I'm am SO READY for finals to be over. I've got two today and can't even relax when they're over because I've got to study for more, so I can totally relate to this sentiment.